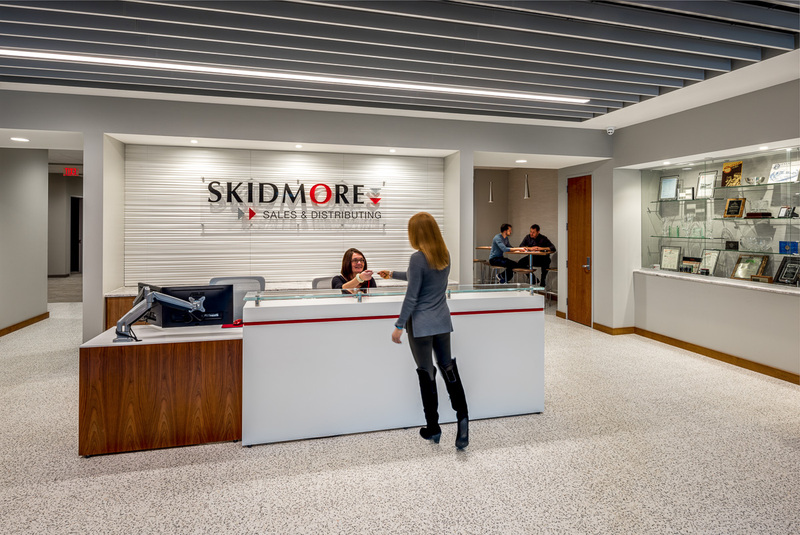 Skidmore Sales & Distributing is a leading distributor of ingredients for food processors and manufacturers, handling over 5,000 ingredients from more than 200 suppliers each year. 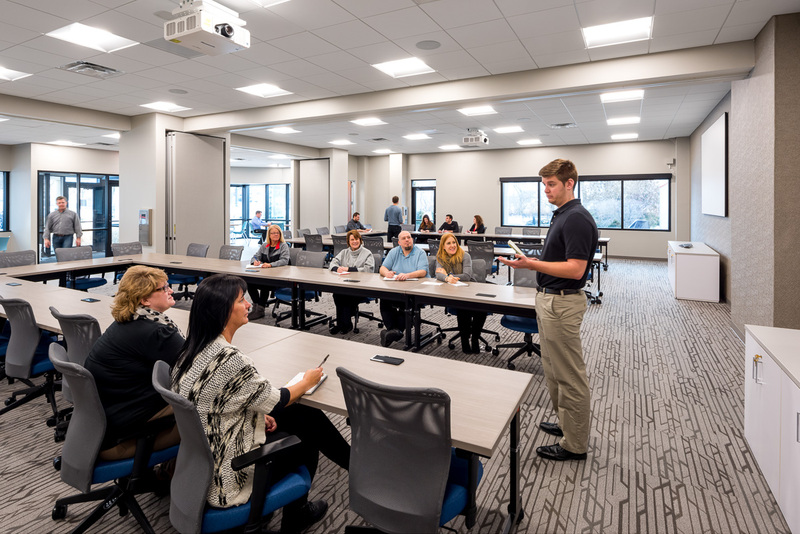 Facing rapid growth, Skidmore approached Hixson to design a new 12,000 sq. ft. office addition, along with a 12,000 sq. 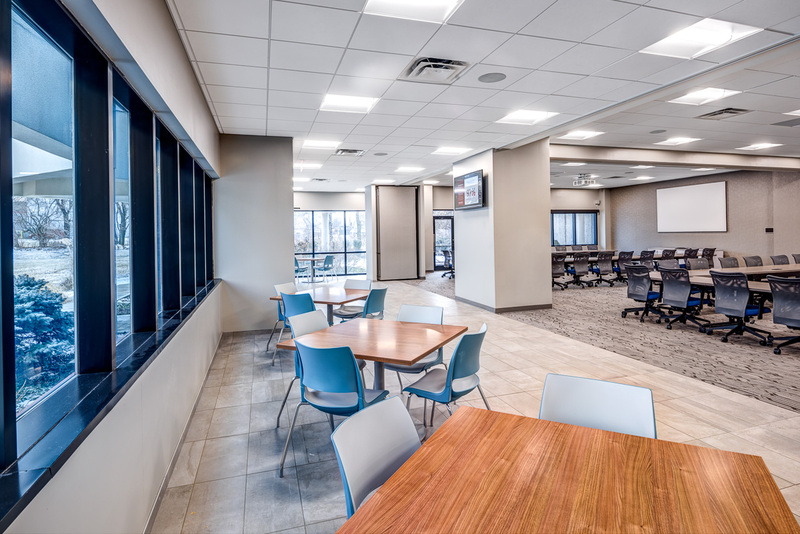 ft. renovation of existing office space. 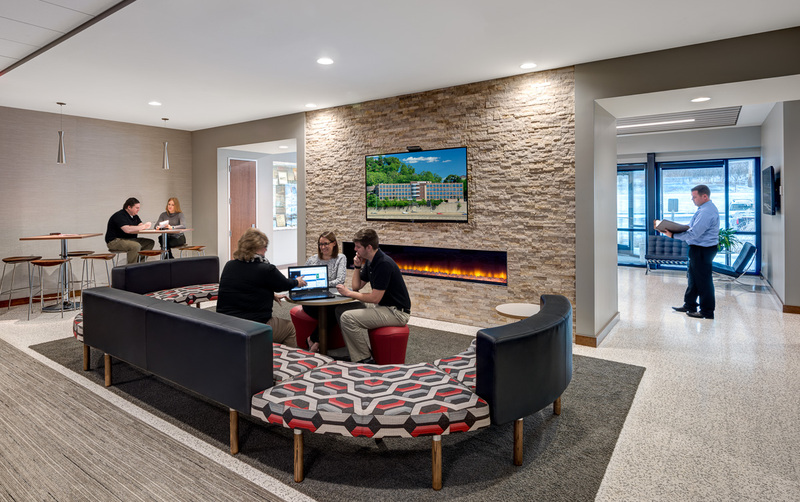 Hixson re-positioned the entrance of the building between the new and renovated spaces, and included a new, central, inviting lobby for visitors and employees. 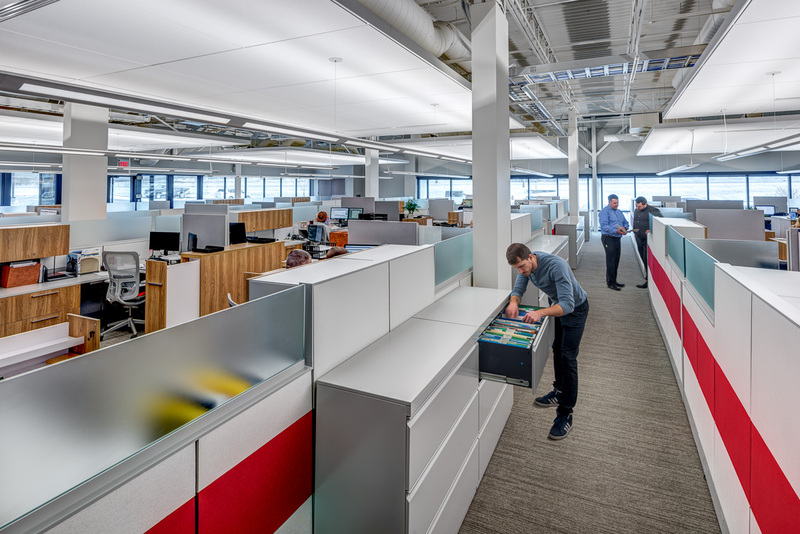 Open workstations with sit-stand desks, flexible open and enclosed collaboration spaces, along with essential technology and classroom-like training spaces are features of the new Skidmore workplace.